Marking 100 years since The Battle of the Somme, learn about life during WW1. We take you back in time to 1916 to the home front to see how the men and women were supporting the war effort. 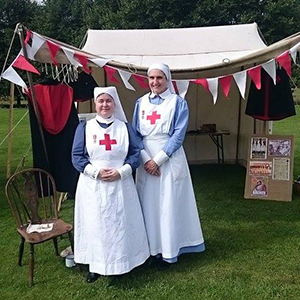 Meet the recruiting sergeant, Red Cross nurse, Army dentist, the munitions worker, padre and post mistress. Sample the delights of the National Kitchen and learn more about this unique period of history.